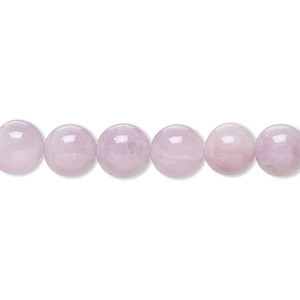 Bead, kunzite (natural), opaque to semitranslucent, 6mm hand-cut round with 0.5-1.5mm hole, B grade, Mohs hardness 6-1/2 to 7. Sold per 8-inch strand, approximately 30 beads. 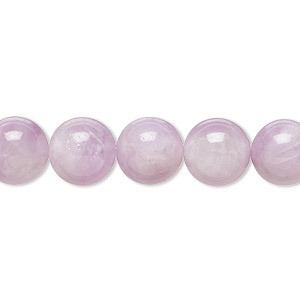 Bead, kunzite (natural), opaque to semitranslucent, 8mm hand-cut round with 0.5-1.5mm hole, B grade, Mohs hardness 6-1/2 to 7. Sold per 8-inch strand, approximately 25 beads. 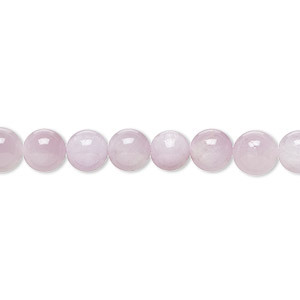 Bead, kunzite (natural), opaque to semitranslucent, 10mm hand-cut round with 0.5-1.5mm hole, B grade, Mohs hardness 6-1/2 to 7. Sold per 8-inch strand, approximately 20 beads. 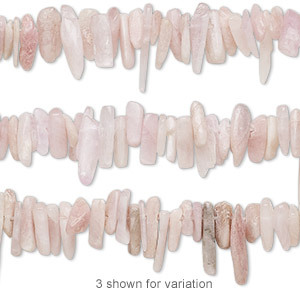 Bead, kunzite (natural), large to extra-large hand-cut Hawaiian chip, Mohs hardness 6-1/2 to 7. Sold per 15-1/2" to 16" strand.